Email Information Buzzuka requires an e-mail address from you when you register for our services. If you choose to correspond with us through email, we may retain the content of your email messages together with your email address and our responses. Buzzuka reserves the right to send you certain communications relating to the Buzzuka services, such as service announcements and administrative messages, without offering you the opportunity to opt out of receiving them. Content Posted by You at Buzzuka.com Content, such as your pitches, images, logos and public profile information, which is posted or published on the Buzzuka website, or shared by you on the Buzzuka or other websites, is public information. Buzzuka may display your information to other community members and visitors. By providing us such content, you agree that we may make them available to any Users of Buzzuka’s services. You should not post or publish any information you wish to remain private. Once posted or published, the information becomes public information, even if you later unpost or unpublish the same information. Buzzuka and its advertisers and ad serving companies may use tools such as “web beacons" or "clear gifs" to determine advertisements and promotions relevant to you, the User. Use of Information You Provide Buzzuka uses personal information for purposes of administering and expanding our business activities. We may also use the information we collect to notify you about important changes to our Web site, new services and special offers we think you will find valuable. Sharing Information with Third Parties We use third parties to improve our service to Users. In connection with these services, third parties may have access to your personal information for use in connection with business activities. Secure Information during Transmissions We request that you do not send private information to us by email. Some of the information you may enter on our Web site may be transmitted securely via Secure Sockets Layer SSL encryption services. You Can Access and Correct Your Information You have access to all your personally identifiable information that we collect online and maintain in our database through your MyBuzzuka page on the Buzzuka website. Certain DisclosuresWe may disclose your personal information if required to do so by law or subpoena or by court order. Links at Buzzuka.com to other websites Buzzuka sometimes provides links to other websites as a convenience to our Users. Buzzuka is not responsible for the practices employed by Web sites linked to or from our web site. Buzzuka Research You agree to allow us to anonymously use the information from you and your experiences to continue to improve the Buzzuka service and offers. Effective Date This Privacy statement was last revised on January 15, 2014. Did Buzzuka help you create a powerful elevator pitch? Pay it forward to help others by donating below. Buzzuka is a self-funded labor of love and we can use your help to keep the lights on and the Buzzuka pitch studio forever free. Our team is passionate about putting a marketing pro in everyone’s pocket with Buzzuka — the 5-minute fix to the 30-second pitch. 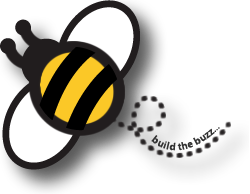 Help us build the buzz and spread the word by telling your friends and colleagues about us. Thank you.